Native Instruments announced a limited 10-day sales special on Kontakt and 10 Kontakt Instruments, celebrating the sampler's 10th anniversary. Among the host of new products introduced by Natives Instruments in September, we found a new Kontakt version. Here is a quick overview of its new features. Native Instruments has just released five products designed to expand its range of Komplete Instruments and Effects. The new products include Kontakt 5, Guitar Rig 5 Pro, Studio Drummer, Solid Mix Series and Transient Master. Native Instruments announced Kontakt 5, the next generation of its software sampler. 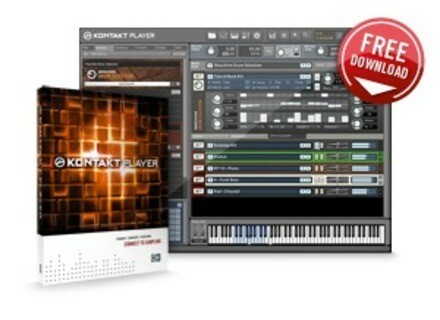 Native Instruments has announced the availability of the final version (v4.2) of Kontakt and Kontakt Player.